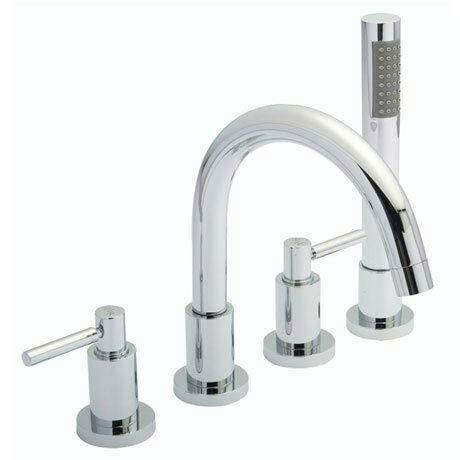 Hudson Reed Tec fittings with lever handles ring the changes with a new angle on water control. Their ease of use can also offer practicality for users, without compromising the design. Tec 4 tap hole deck mounted bath mixer with swivel spout, shower kit and hose retainer incorporating leading edge 1/4 turn ceramic disc valve technology.